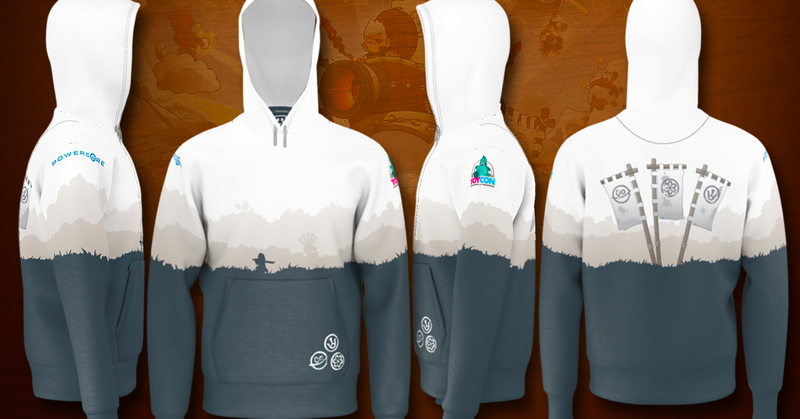 TOYCON UK 2016 Exclusive Battle Tails Hoodie Giveaway! 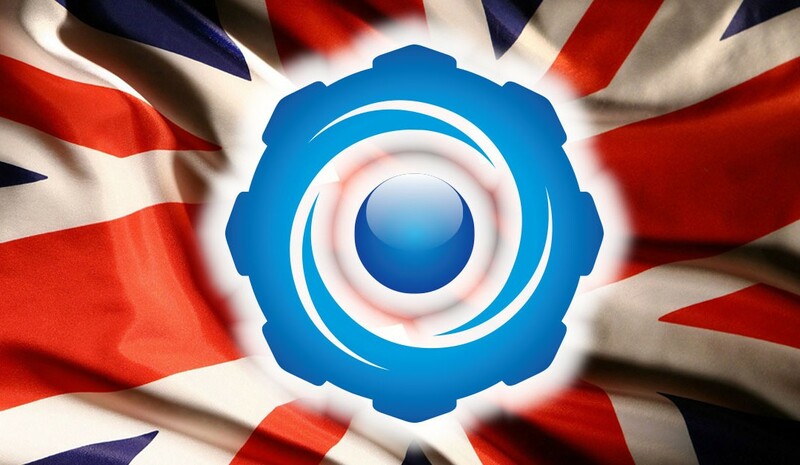 PowerCore is off to jolly old England for ToyCon UK 2016 in support of our buddy Huck Gee – the creative genius behind the Battle Tails mobile strategy game. PowerCore teamed up with Huck to produce a sweet Collection of Battle Tails Merchandise which is available now. Huck will be appearing at the Toy Chronicle booth where he will be dropping exclusive colorways of his popular BLANK figure at the show plus a selection of his amazing works. PowerCore will be previewing our new series of Battle Tails Collectible Enamel Pins – each one is a little work of art that you can wear with pride..
To celebrate, PowerCore is sponsoring a giveaway of ToyCon UK exclusive hoodies. 12 lucky folks will win the exclusive ToyCon UK version of our popular Battle Tails Clan Banners hoodie! With every purchase from Huck Gee, you will receive a PowerCore digitally-tagged collectible card. And since PowerCore is all about connecting the online and offline worlds, these digitally-tagged cards will activate special web page through your mobile phone to signup for the giveaway! 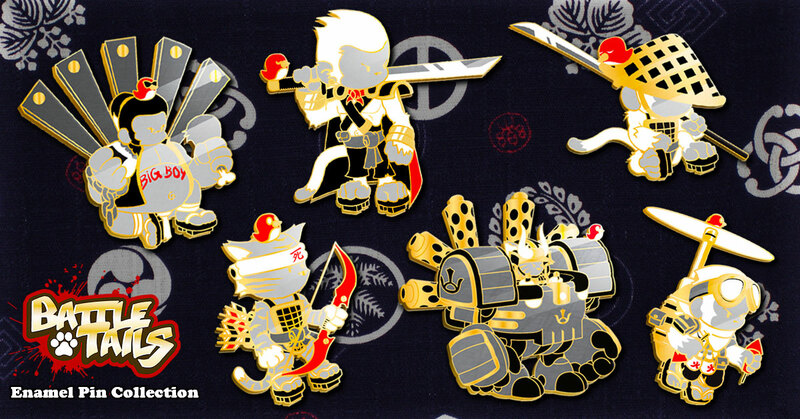 And everyone who activates will get a special code giving them early-bird access to the new Battle Tails Enamel Pins. Win win! Winners of the hoodies will be notified by email by April 15th. Plus there will be a special drawing to give away for the ToyCon Exclusive Hoodies and Full Enamel Pin Sets at the ToyChronicle TCUK After Party! So please stop by the Toy Chronicle booth on Saturday to meet Huck Gee and get a PowerCore card and head over to the Battle Tails Official Online Store now to check out the Collection.